Medical battery manufacturer Accutronics will be sharing insight into ‘smart batteries’ for healthcare applications at this year’s Med-Tech Innovation Expo, at the Ricoh Arena, Coventry, from April 26–27, 2017. The company will be exhibiting its Entellion range of pre-engineered smart medical batteries, as well as a selection of batteries for medical carts and wearable devices from its parent company Ultralife, from stand 29A for both days of the event. The annual event will host more than 100 leading medical technology companies serving the growing medical sector in the UK and Ireland. Over the course of the two-day event, there will be a number of keynote speeches and presentations focussing on several of the issues and opportunities facing the medical device industry. In particular, there will be discussions on implementing the internet of things (IoT) in healthcare. Accutronics’ smart batteries fit into this concept by featuring reliable discharge rates, high energy density and smart energy management functionality, all of which allow healthcare practitioners to use portable medical devices without concern. These features are designed into batteries in Accutronics’ Entellion range but further functionality, such as anti-counterfeiting measures, can be designed for each device's requirements with the company’s bespoke battery service, Accupro. “IoT technology has been gradually creeping into the medical device and healthcare industry over the past few years,” explained Neil Oliver, technical marketing manager at Accutronics. “With this increased connectivity, we’ve also seen devices shrinking into more compact designs. Despite this, many device manufacturers still struggle to ensure the same quality of performance in this smaller size. "This is because design engineers do not always consider the battery early enough in the design stages of portable, IoT-ready, medical devices. This has serious performance implications further down the line and limits the battery options available for the device once it is on the market. The batteries in the Entellion range are designed to meet the demands of modern medical applications, with products such as the CC1150 credit-card battery allowing medical manufacturers to achieve safe and effective discharge from a compact design. Accutronics’ stand at the event will also feature several Ultralife products for larger medical devices, such as the recently launched URB12400-U1-SMB lithium iron phosphate smart battery for medical carts. This provides an alternative to sealed lead acid (SLA) batteries, which includes power management functionality to address the high self-discharge rate commonly associated with SLAs. 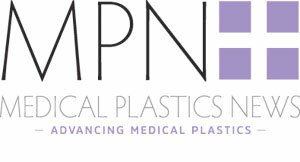 The group will be on stand 29A of the Med-Tech Innovation Expo.